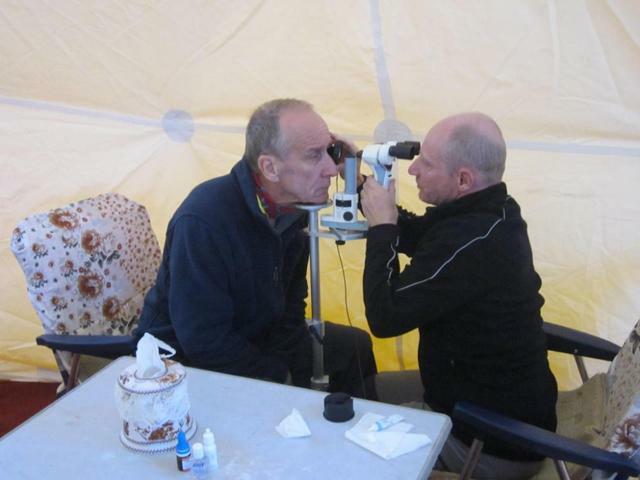 Medical Research Study by Michael Baertschi at 5,200m/17,160ft and higher – It is always interesting to participate. 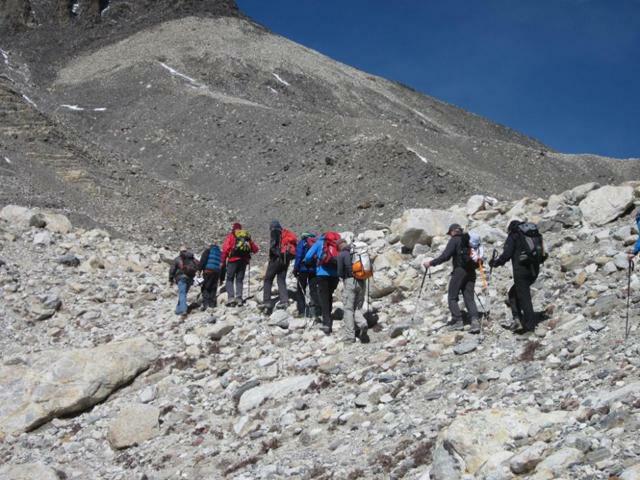 On April 18 we did our first short acclimatization hike up one of the mountains (or you would call them hills here) near Base Camp. It was a good experience to move up a few hundred meters and see how we feel after this. And on this day, I did feel a light headache, which is normal at this altitude. And in fact, this is only the beginning of our acclimatization exercise so let’s see what the future will bring. 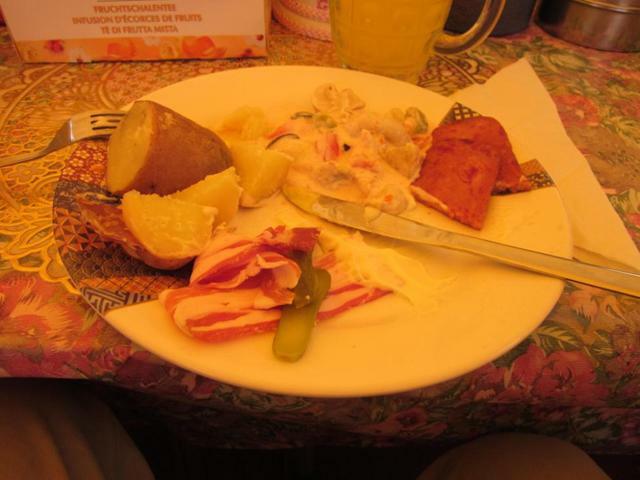 In the afternoon we relaxed again in the tents and enjoyed the excellent food. The next day, on April 19, we hiked up a mountain on the other side of the Rombuk valley, this time to approx, 5,700m/18,810ft. This hike was longer and more demanding which of course was also planned that way. I felt good after this hike and I hope that my condition will stay like that. There is so much more to come… The rest of the day we enjoyed again in the dome and I had some very interesting discussions with some climbing mates. It is really a nice experience to travel with such a diverse group. In the evening Kari, or Charlie, how he is called up here, tried a new experience: He showed us a move in the large dome and the group decided to watch “Seven Years in Tibet”. 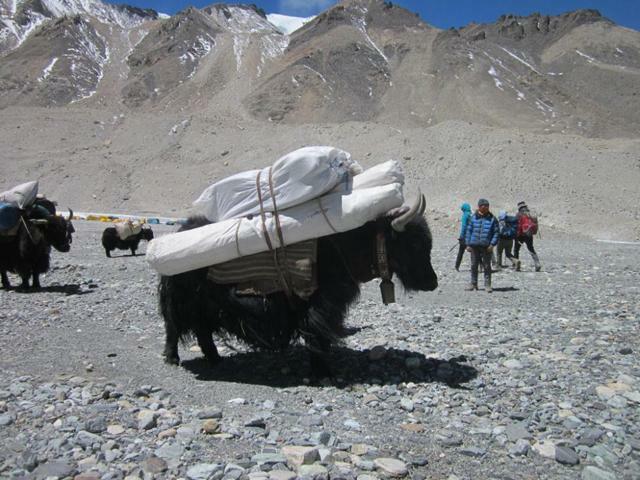 Why not, here we were in Tibet! And, as with many new experiences, we learned that there was not enough power for the projecter, so after a while there was still sound but now pictures anymore. So Charlie made the decision to watch the second part the next day, which was fine with us. 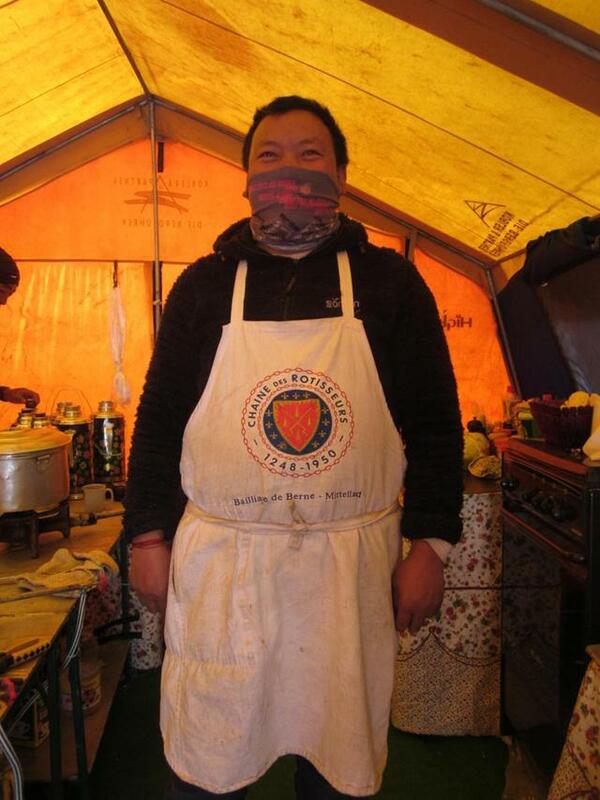 The fascinating thing for me was that our Tibetan kitchen personnel was watching the movie with us and I was wondering what they would think about the movie since many scenes took place in Tibet. 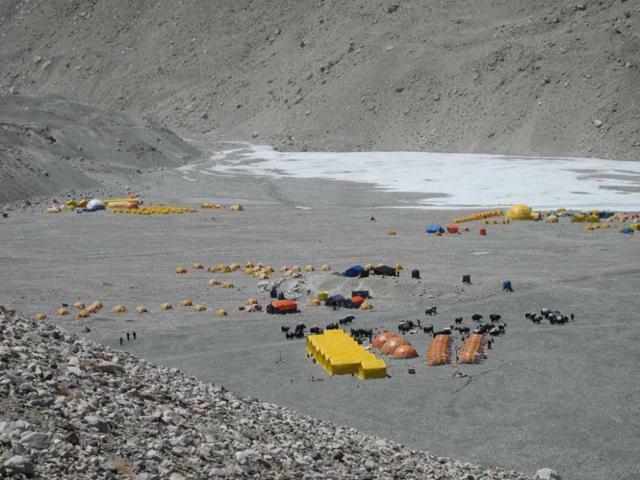 The Everest Nord Side Base Camp from higher up – Not very busy compared to the South Side. The next morning we left early for our last acclimatization hike from Base Camp, this time it was a much longer climb up to 6,000m/19,800ft. We started out with our expedition boots and crampons and walked up a valley. Once we reached a certain point we changed to our hiking boots and climbed up to approx. 6000m/19,800ft. It was cold up there and during the climb I already realized that it was probably not my best day. I am not sure if it was the altitude or if I picked up a cold up there. 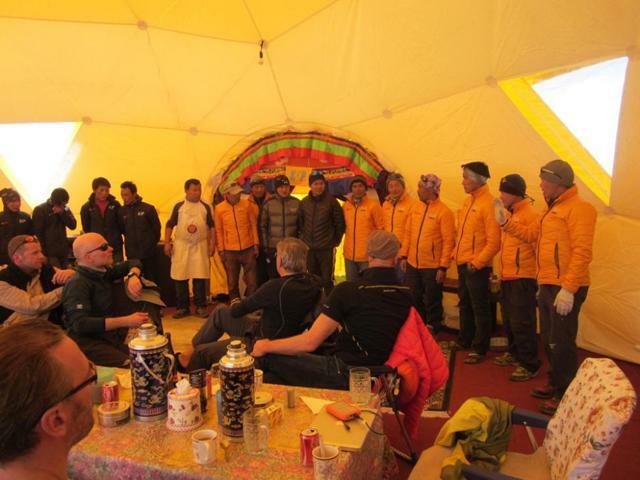 Once back in Base Camp I did not feel very good and went to bed very early and the next day I was fine again. 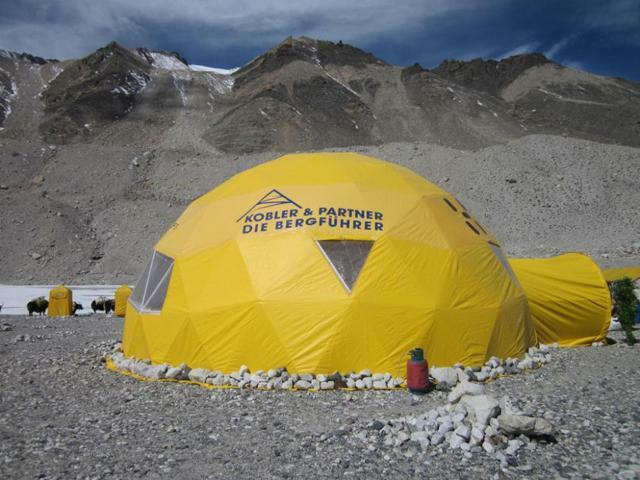 Yes, a good sleep is always important, especially here at this high altitude. 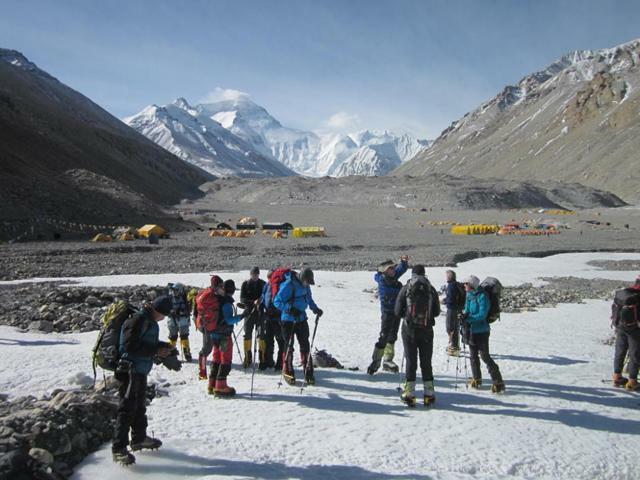 The next morning, on April 22, half of our team left for the Advanced Base Camp (ABC) and the other half had another rest day in Base Camp. 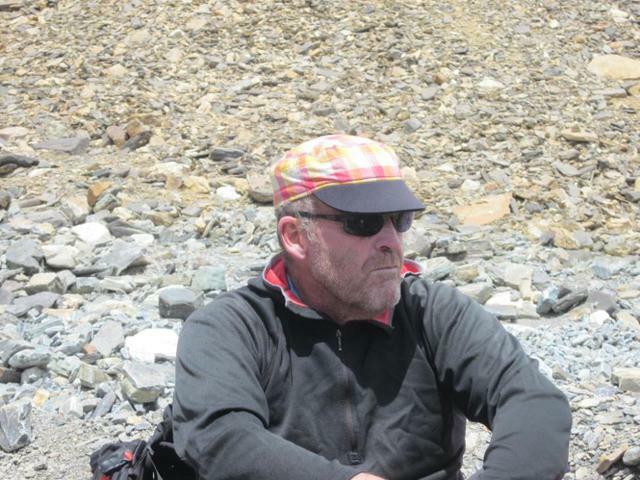 I had planned to move up with first team, but because of my kind of weakness I experienced the day before, I decided to enjoy the rest day at Base Camp versus at the ABC at 6,400m/21,120ft two days later. The rest day was very enjoyable. I was able to work on my blog and do some other work related things, and yes, I did enjoy a shower and was able to do some washing. 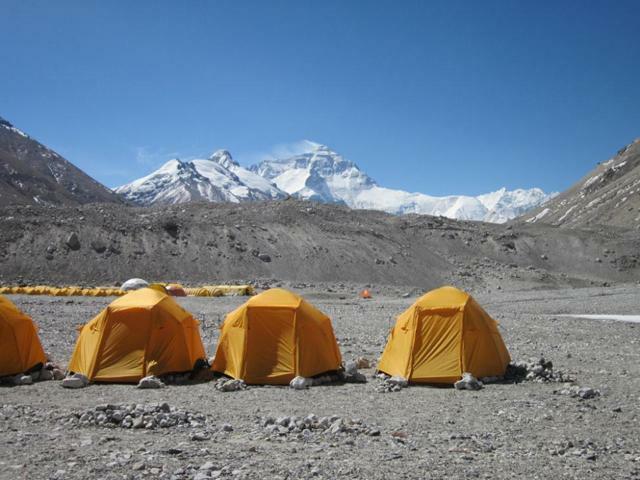 The days can be relatively mild here at Base Camp during noon, but early morning and late afternoon are cold, so it is better to do these things during the warm period. Especially, since we had a light snow shower during the last night and there will be more snow higher up in ABC. Another important task was to pack for the move up to Advanced Base Camp (ABC), a place where we will stay for the next 10 -12 days. I am feeling good today and I am looking forward to move up and see how my body and mind will feel again up there in this high altitude. 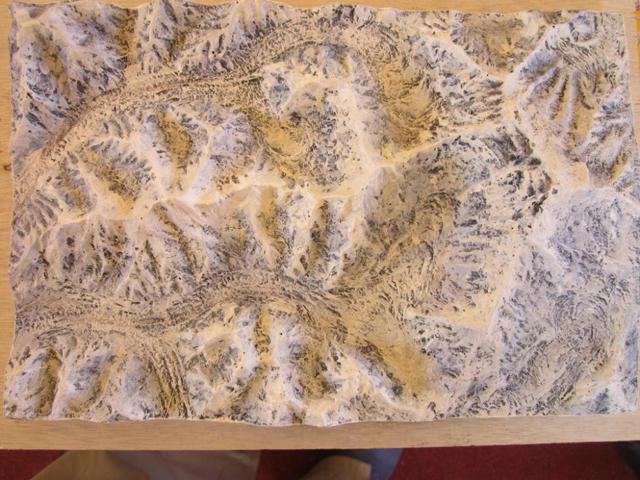 Our long way up the East Rombuk Glacer (upper side of the map) to ABC and Everest seen on a relief map.